Available with 2WD and 4WD. 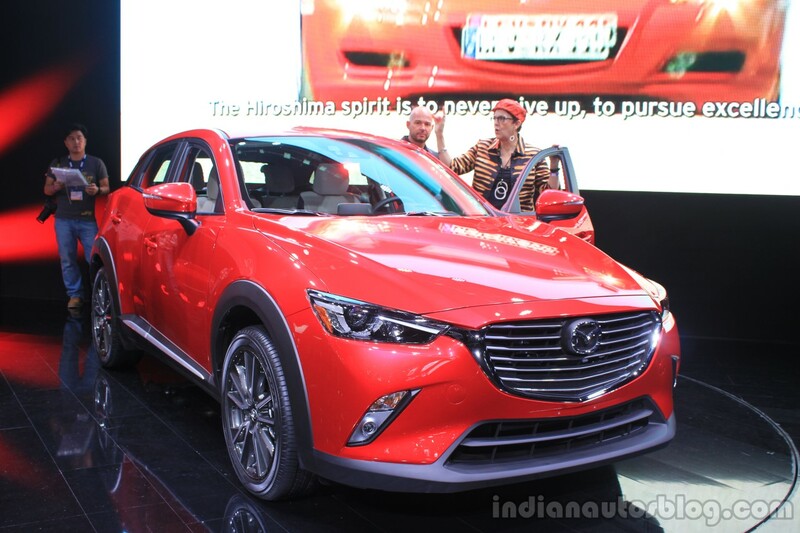 The Mazda CX-3 has world premiered at the 2014 Los Angeles Auto Show. Sales in Japan will start in the spring of 2015, and the United States will get it in the summer of 2015. 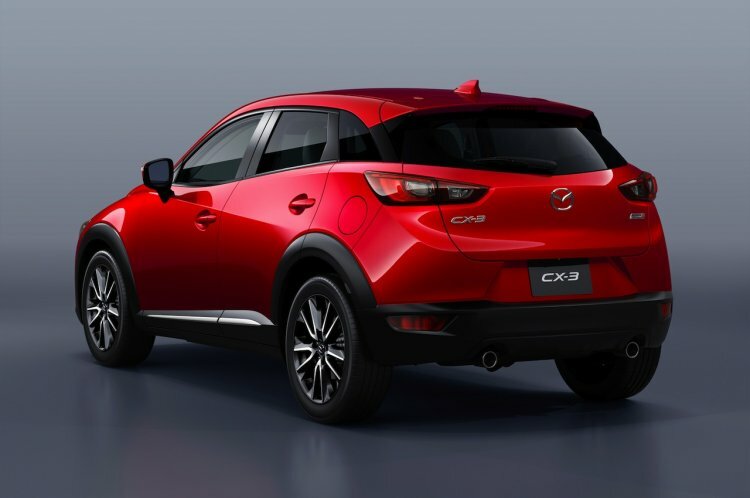 The CX-3 measures 4.275 m in length. 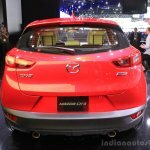 With a length of 4,275 mm, a width of 1,765 mm and a 1,550 mm height, the Mazda CX-3 is prepared for tight inner city areas, says the company. The CX-3 has a wheelbase of 2,570 mm. 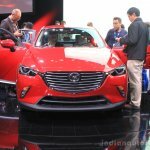 It is based on the Mazda2's platform, but gets new suspension components to handle the extra bulk. The body of the SUV features high-strength steel to the tune of 63 percent. 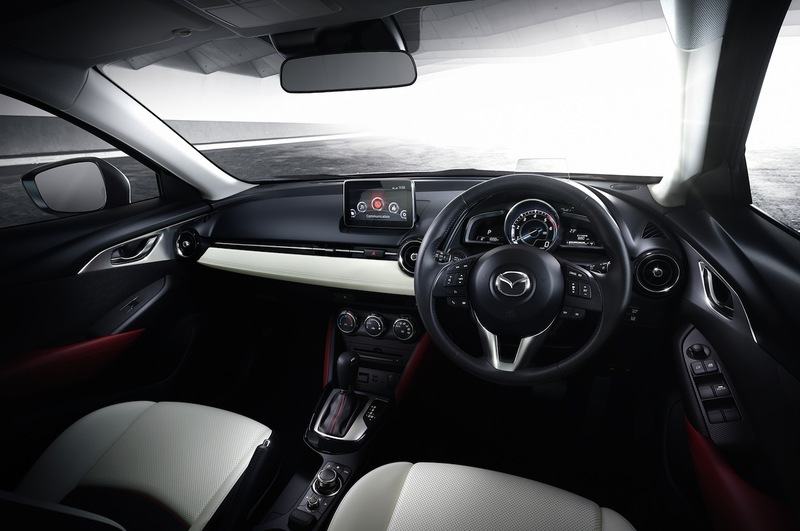 The CX-3 will be available with 6-speed manual and automatic transmissions. 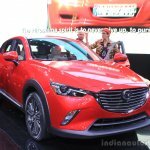 Mazda has confirmed that the CX-3 for the U.S. will get a 2.0-liter SKYACTIV gasoline engine, while other markets will get a 1.5-liter diesel unit. 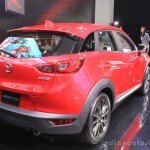 The engine specifications will be revealed later, but the Japanese manufacturer confirms the availability of both front wheel drive and AWD for the CX-3. 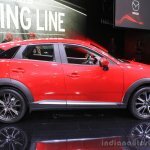 6-speed manual and Mazda's new SKYACTIV-Drive automatic transmissions will be seen on the crossover. The car comes with a 2.0-liter petrol engine and a 1.5-liter diesel engine. A capacitor-based brake energy recovery system called i-ELOOP will be paired with one of the engines for better efficiency. 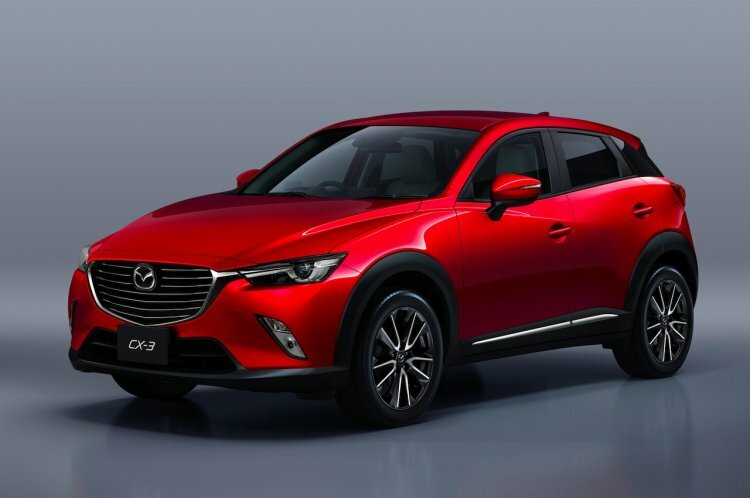 The CX-3 will sport features like LED headlights, high-beam assistant, radar-based cruise control, a brake assist feature, lane change assistant and lane keeping assistant.